NEW with Brioni tag & box MADE IN ITALY. 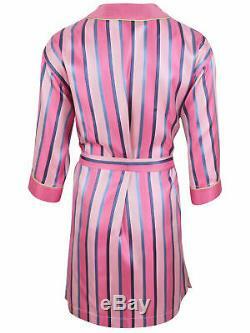 Men's bathrobe / dressing gown / pajama with 2 pockets & lacing made of 100% silk with Brioni application hand washable. 21.26 chest - armpit to armpit app. 38.98 sleeve length app. 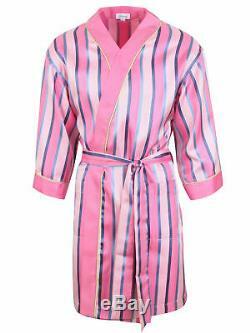 The item "Brioni men's bathrobe dressing gown pajama robe size L 100% silk multi-color" is in sale since Tuesday, January 15, 2019. This item is in the category "Clothes, Shoes & Accessories\Men's Clothing\Nightwear".